Non-contact, high-speed, solid-state laser speed and length measurement with no slippage, drift, mechanical wear or maintenance compared with contact wheel / roller systems. Unidirectional speed and length measurement. Ultra-compact design with a footprint comparable to a smartphone. Optimized for sheet material and converting applications. UKAS-traceable calibration; accuracy better than 0.05% and repeatability better than 0.02%. 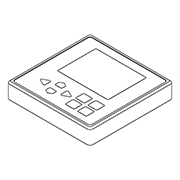 Rugged industrial design for use in factory environments. Available fitted with industry-standard communcations interfaces for easy integration with PLCs and production line equipment. Excellent value with low cost of ownership. Proton Products InteliSENS® SL mini Series non-contact, unidirectional speed and length gauges provide extremely accurate speed and length measurements in almost any sheet material or converting application. Production processes for web products, woven and non-woven materials, paper, plastic film, tapes, building materials, flooring and labelling can all be measured using the laser Doppler method. 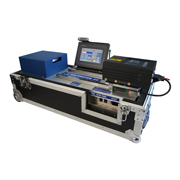 Applications requiring a precise cut-to-length process benefit from the non-slip and highly accurate laser measurement technique which reduces scrap, increases uptime and improves material yield by eliminating product “Give Away” or “Short Length” claims. InteliSENS® SL mini Series gauges are money-saving, direct replacements for traditional problematic and high-maintenance contact wheel and roller-type devices and are extremely easy to install and operate. Integration with production line controllers such as PLCs is eased by the availability of a wide variety of industry standard communications interfaces. Proton Products InteliSENS® SL mini Series speed and length gauges illuminate the measured surface with an interference pattern created by the intersection of two laser beams. The alternating bright and dark interference fringes modulate the light scattered by the object with a frequency proportional to the object speed. This scattered light is detected by a photodiode and the electrical signal digitally processed to determine the frequency and hence the speed. Object length is then calculated by integrating the speed measurement over time. only valid if the measured object is positioned within the central 20% of the depth-of-field. 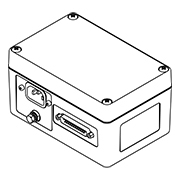 Laser safety control inputs Laser External closed contact to ground enables laser diode. Shutter External closed contact to ground opens laser shutter. 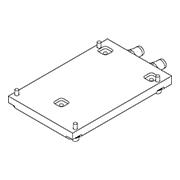 Shutter status output Electrical N-channel MOSFET pull-down (for connection to user-supplied opto-isolated relay). Function Pulled to ground when laser shutter is open. 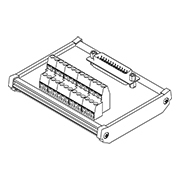 (end-user configurable) Electrical N-channel MOSFET pull-down (for connection to user-supplied opto-isolated relay). Connects via the CAN-bus port. Displays measured speed and length. Available in 5, 10, 15, 20, 30 and 50m lengths. 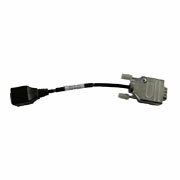 Provides DB9 connector access to the RS-232, CAN-bus and optional industrial bus communications ports. 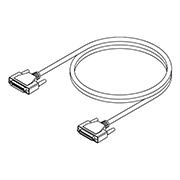 Provides RJ45 connector access to the Ethernet port. 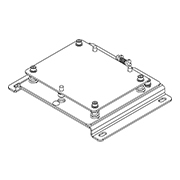 Provides screw terminal access to all electrical input and output pins. 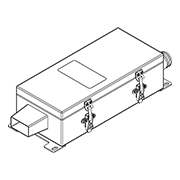 Provides a laser enable key switch for compliance with laser safety requirements. Input voltage range: 90 ? 260 VAC @ 45 ? 65 Hz. ?Breaks out the DB25 “INTERFACE” connector to a DIN rail mountable set of screw terminals. Available in 3, 5, 10, 20 and 30 m lengths. 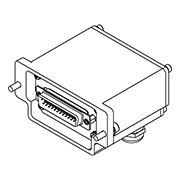 Provides DB9 connector access to the RS-232, CAN-bus, Ethernet or optional industrial bus communications ports. End user cables are sealed with cable glands. For connecting RJ45 8P8C terminated cables to the DB9 EtherNet / IP port. Provides trending, data logging, presets and alarms. 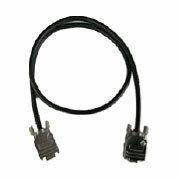 Gauge to PC connection via RS-232 or optional RS-232-to-USB interface cable (RSCon). For use in high vibration environments. Provides ±3° of roll and yaw adjustment. 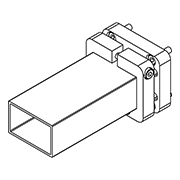 Enclosure of the laser beam to within 10mm of the object for laser safety and harsh environments. For direct use with the SL mini 1220 or SLR mini 1220. 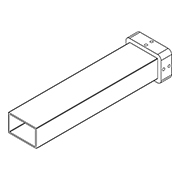 For the SL mini 3660 or SLR mini 3660, use in conjunction with the “Beam enclosure tube extension ()” below. High-efficiency, air-wiped protection window for dusty and steamy environments with a quick-change window release mechanism. 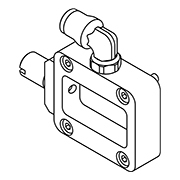 Provides an 8 mm push fit tube fitting to connection to a clean air source. 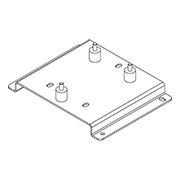 Air or water cooled plate for installation between the gauge and mounting surface. For use in ambient temperatures up to 60°C. Stainless-steel environmental protection housing for increased protection against dust, splash, drip or airborne materials. Motorised aluminium calibration wheel mounted in a rugged aluminium frame carry case.